Where would you find him? Ah, the Rat Pack. 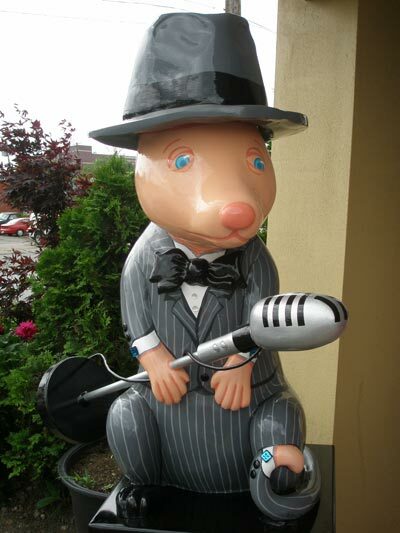 The Rat Pack was the name given to a group of popular entertainers starting in the 1950's that inlcuded Chairman of the Board Frank Sinatra and Dean Martin, Sammy Davis, Jr., Peter Lawford and Joey Bishop. The Rat Pack has invaded Cleveland! 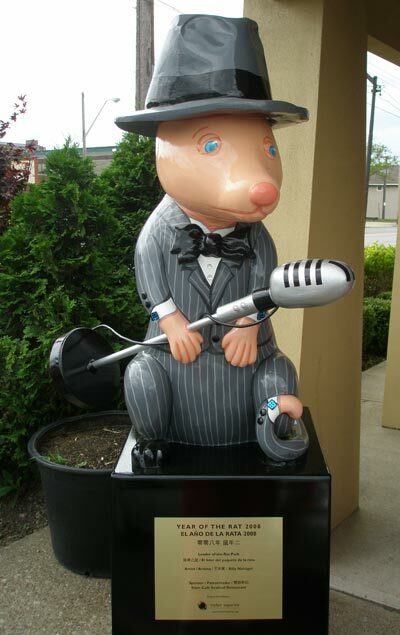 To celebrate the Chinese Year of the Rat in 2008, customized rat sculptures have been placed throughout the St. Clair/Superior neighborhood. They replace the Pigs of 2007 and the Dogs of 2006. 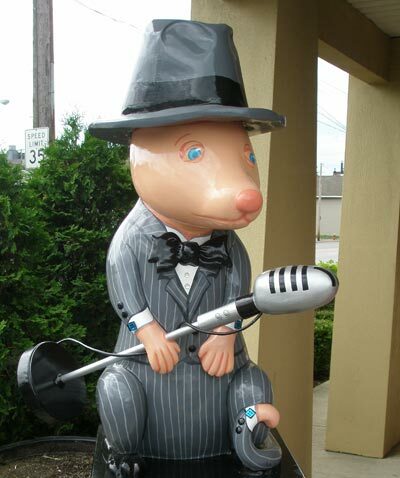 This particular Year of the Rat statue is at 40th and St. Clair at the Siam Cafe. Come back soon for photos of more of these creative Rat sculptures.